Before you can login to Revel you will have to create an account by answering all the questions on their application form. You will then be asked to allocate a password for future logins. It is up to you to decide on which employees will have their own login credentials so that they can access the system and view predetermined parts of the Revel point of sale system. Administration permission is necessary for any employee that will be accessing the Management Console. This could be your managers, accountants or any other employee who is responsible for inputting or viewing data. Want to Login to Revel? If you are having a problem logging into your Revel account there could be two main reasons. Signing up with Revel is relatively easy. All you have to do is fill in the application form which requires your personal and business details and also includes questions on the availability of the internet and required cabling on site. You will be asked when the preferred installation date is and arrangements for delivery of the system will take place accordingly. You will be asked to connect with their services team so that they can help you choose the right service for your business. Their onboarding and installation services are offered onsite and virtually. Assistance is given to get you up and running with the Revel point of sale system before you are open for business. You will also be allocated an account manager to ensure that everything runs smoothly. Revels dedicated technicians are just a call away. 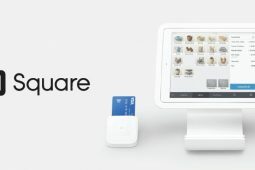 Revel charges $99 per terminal and offers a feature packed POS and business management service which includes an intuitive point of sale feature with inventory and employee management tools. Included in this price is customer relationship management, reporting and analytics. Revel offers transparent processing flat fees which are industry leading rates. To find out exactly what these charges are you will need to get a quote directly from Revel as prices will depend on the type of business you are running. Installation services could set you back a minimum of $649, depending on the infrastructure of your business. The onboarding system includes management console training, menu consultation, hardware installation and payment set up. Service experts work side-by-side with you to get your system up and running. You will also work with a dedicated project manager to train and setup your POS backend and be taught best practices for inventory management, employee management and how to access reports. 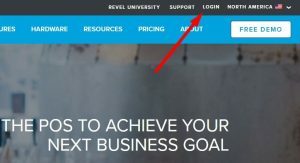 One of the most useful ways of getting information on all aspects of the Revel features is to access the Revel University which offers videos that will walk you through with step by step instructions on all aspects of the Revel point of sale system. These easy to follow videos are a great help in teaching you and your staff the ins and outs of the whole system. Explore video categories for in-depth tutorials on specific areas of interest. Browse the categories for tips to unlock the full potential of your Revel POS and platform. Anything from how to manage your employee’s records, to accessing reports on your transactions is available through these informative videos. In depth understanding of the Revel system is essential for running a successful and efficient business. It is also a good idea to sign up for their newsletter which will keep you informed of all new information pertaining to the Revel system. You can also follow Revel on YouTube, Facebook, Instagram, Twitter and LinkedIn. 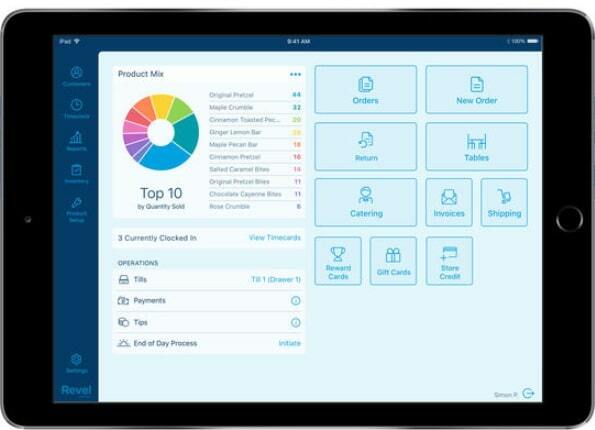 Revel provides you with everything you need for a complete iPad point of sale system. You will receive a pre-configured package which is of good quality and reliable. Every product is tested to ensure that your POS system works efficiently. 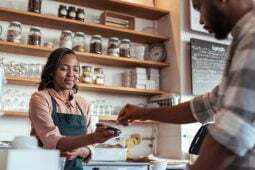 This includes iPads, POS stand, Router and Wi-Fi access points, POS printer and a secure cash drawer which are included in the standard POS terminal. You can also acquire barcode scanners, a caller ID device and as many payment terminals as required. Scales and other peripherals are offered as additional extras. 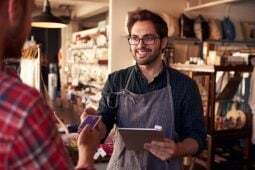 The best way to see if Revel is the point of sale system for you is to take advantage of their free demo which will give you a good idea of how the system works. Whatever you decide you can rest assured that their technical support is one of the best in the industry. Revel is a cloud based point of sales POS system that is suitable for retail stores and all types of restaurants. The integrated operations are all controlled from a single dashboard or management console that has the capability of showing inventory and employee management and much more. The data application tracks sales, payment and sales summaries as well as product information. 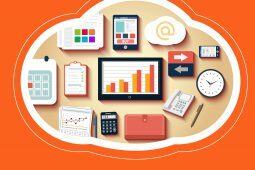 Easy access to analytics and reports with graphs ensure effortless business management. Other features are customer management, loyalty programs and gift cards. Mobile ordering and barcode support together with the ability to integrate with accounting packages like QuickBooks makes Revel POS system a complete, fully compatible store or restaurant management system. This iPad POS system is regularly updated and Revel also offers full support to its customers with training videos and 24/7 support. The Always on Mode will allow you to carry on business as usual even when the connection is down, Revels advanced hybrid allows you to run your business uninterrupted even when you are offline. Top tips on how to manage your business correctly!